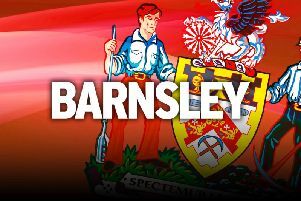 Barnsley assistant head coach Andreas Winkler says the Reds will have to be on their guard against struggling Plymouth Argyle on Tuesday night. The Pilgrims visit Oakwell winless and bottom of League One after 10 games. But Winkler knows Argyle pose a dangerous task for the Tykes, who are fifth following Saturday’s 3-1 win at Fleetwood. “If anybody thinks this will not be a tough game, they’re not right,” said the German. “I’m aware of their strengths and I really know we can only win in this league with high quality. The Pilgrims won just one of their opening 14 league matches last season, but still came within three points of reaching the play-offs. “It doesn’t matter if you’re bottom after nine or 10 matches or top,” Winkler said. “They don’t have a win so it makes it very dangerous. We’re aware they had a good season in the previous season. “So I think their results are not that good but their team is pretty good. “We want to win, we want the three points. We know what they’ll play and how their style is. “It’s very direct but it’s all about us. If we have a high, aggressive player and every player is aware that he has to show his best performance, then we will win. Winkler was also full of praise for goalkeeper Adam Davies. The Reds skipper has helped his side boast the meanest defence in League One, having only conceded six times so far this campaign. “I’m very pleased with our back four and goalkeeper,” he added. “That’s what I talked about some weeks ago. It’s not only about scoring, it’s also about not conceding many chances. “If you press high, the ball is a high distance from your goal. Meanwhile, the Reds are without striker Cauley Woodrow - yet to make an appearance for the club - due to injury. Winger Lloyd Isgrove and defender Zeki Fryers are both touch and go as to whether they will make the squad against Plymouth.